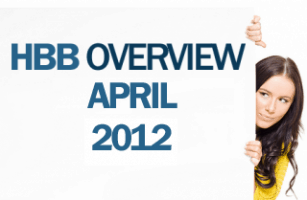 I’m really sorry for publishing HBB Overview of May very late. I had some disputes regarding some announcements, it is solved now fortunately. We have made some changes in our guest blogging policies. Kindly check Guest Authors Checklist for more information. 1. Adam Costa: Adam Costa is the author of Business In A Backpack, which shows how to run a profitable business while traveling the world. 2. Pro Vamsi: A software engineer by profession and passionate blogger by interest. 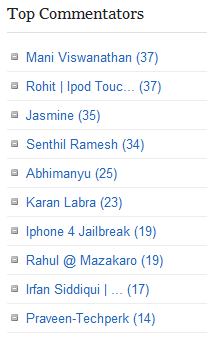 Works for a networking company in chennai and blogs for India365 and LondonGeekUK. 3. Chris Marentis: Chris Marentis writes from experience about lead generation, closing the sale and leveraging social media. He is the founder and CEO for a local internet marketing company Surefire Social, a resource for local search marketing. 4. Roger Collings: Roger Collings is the Managing Director of RDC Communications Ltd and a telecoms consultant specialising in business VoIP. 5. David Rice: David Rice is based in UK and works for a company that helps business leaders find the ideal office to let location. He runs What is Android and Price India blogs. 6. Aditya Chintha: Aditya Chintha is a 17 yr old blogger and writes at Geeks Workshop. His areas of interest are blogging, reviewing gadgets, developing android. 7. Koundeenya: Koundeenya is a turned out blog writer from a diary writer. He loves writing and blogging. He blogs at Diary Writer which covers writing & blogging tips. Article: Are You Tired Of Writing? 7 Tips To Overcome That! 8. Chetan Bhawani: Chetan Bhawani is a dentist, and a tech blogger who writes at several blogs and an advisor about web hosting. 9. Praveen: Praveen is a normal 11th Grade Student from India. He likes blogging and he blogs at Geeks4share about Blogging Tips, SEO, Marketing, Money Making and Tips And Tricks in Computer. 10. Debarshi: Debarshi Ghosh Dastidar is an Entrepreneur and a part time blogger from India. He is specialized in Content Management, Internet Marketing, SEO, web designing and many more. 11. Gautam Doddamani: Gautam Doddamani is a Geek, Blogger, and Open Source Evangelist. You can check out his official blog at revthatUP. 12. Arijit Das: Arijit Das is an experience based blogger, who writes about random things that effect his life. He wrote many consumer friendly posts about well-known brands. He also released his own music video- Meow N’ Jerry. 13. Namanyay Goel: Namanyay Goel is a freelance web and graphic designer. He blogs at Mos Le Tech, about SEO, Technology News, and Design. Article: Guest Blogging Vs Social Media. Which Is Better? 14. Romy Singh: Romy Singh is a good listener, prefer to listen more. You can catch him on his blogs Geekywriter and tutdiary. Oh no good. I have failed to submit a guest post for May?… Must work harder and write more this month! wow..!! 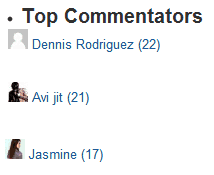 great to know that I’m a top commentator of May. Congrats Avi Jit and I must admire that this is a good round up. Very informative articles have been published. 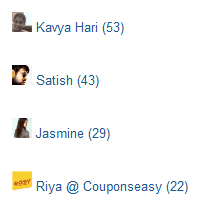 Great to see all the top guest bloggers at one place here at HBB. I wishall the best to all guest posters. 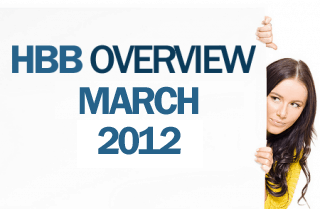 Good luck to HBB for more success.